What will you do with up to PhP 10,000 savings a year? That’s how much savings you can get when you use a Carrier Optima high wall*, a non-inverter air conditioning unit that gives maximum cooling minus the worries of high electricity consumption. With the rising costs of electricity these days, it’s essential to own an appliance that’s energy efficient. With the Carrier Optima, homeowners can save as much as PhP 10,076 per year* compared to other leading non-inverter brands. This is possible because of the unit’s energy efficient and highly-optimized system design. The amount of savings became a trending topic among viewers during the recent pilot episode of vlogger (or video blogger) and TV Host Marco Ho’s (a.k.a. Bogart the Explorer) brand new Facebook Live Talk Show: “The Sorta Kinda Late But Still Quite Early Night Show with Bogart the Explorer”. Held at the XSplit Studios, Bogart tested the superior energy efficiency of the Carrier Optima compared to an inverter and a non-inverter of competing brands through an electricity meter. 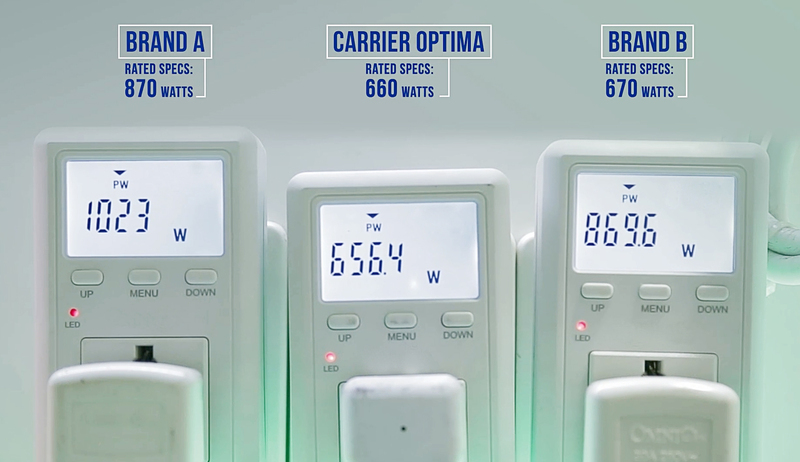 In the test, Carrier Optima proves that it not only performs at its rated specification of 660 watts, it was also the most energy efficient product even versus its inverter counterpart. 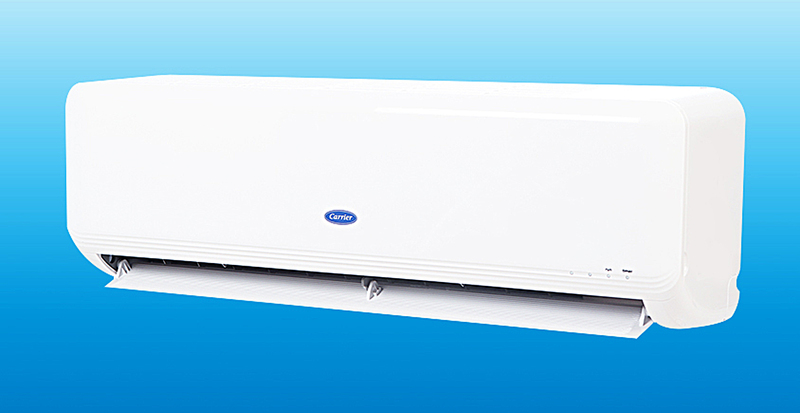 The Carrier Optima, a non-inverter air conditioner, provides inverter like savings for 30% less than the cost of an inverter product. The secret to the Carrier Optima’s energy efficiency is in its interior. The air conditioner runs with additional cooling coils, a more compact yet powerful compressor, and stronger motors. It also has a Turbo Function that allows rooms to cool fast as soon as the air conditioner is switched on. All these powerful features are housed inside the Carrier Optima’s sleek exterior—it’s an air conditioning masterpiece that can fit stylishly in any home owner’s space. Carrier understands that aside from energy efficiency and cooling capacity, an air conditioning unit must have features that will make sure every family member is breathing clean air within the household. That’s why they installed the latest, most advanced air filter technology in the Carrier Optima. The family won’t ever worry about catching a cold or getting allergies inside the house, as the Carrier Optima dissolves and neutralizes bacteria, fungi, microbes, and unwanted odor while keeping the house cool and comfortable. With features such as the Bio-Filter and Silver Ion, the air conditioner will leave the air inside the house completely clean and pollution free. Carrier Corporation is the world’s largest air-conditioning company. For more than 50 years in the Philippines, Carrier has cooled more Filipino homes and establishments than any other brand. Moreover, the company continues to take the lead in the development of new products and technologies in the pursuit of excellence. For more information on Carrier Philippines, log on to the official website (http://www.carrier.com.ph) or the Carrier Philippines Facebook page (http://www.facebook.com/CarrierPhilippines). Book & Borders Cafe Eastwood Branch Now Open! Where to Get the Best Rates for your Sangla?